The purpose of the International Standard for Laboratories (ISL) is to ensure production of valid test results and evidentiary data, and to achieve uniform and harmonized results and reporting from all accredited laboratories. 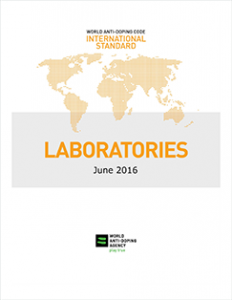 In addition, the ISL and its related technical documents specify the criteria that must be fulfilled by anti-doping laboratories to achieve and maintain WADA accreditation. Visit the WADA website for a list of current accredited laboratories. The current ISL went in force on June 2, 2016.